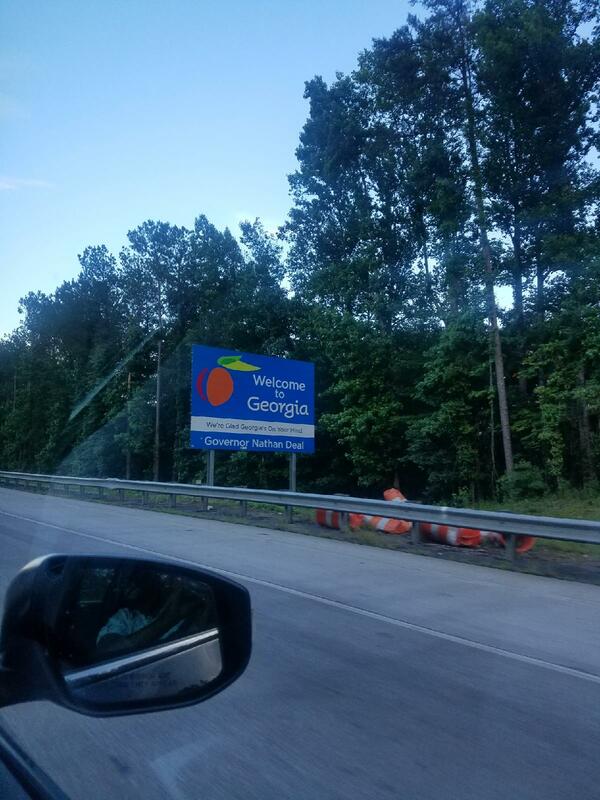 Val here – this time, while Kim was busy at work in Houston, my cousin and I decided to drive to Atlanta. 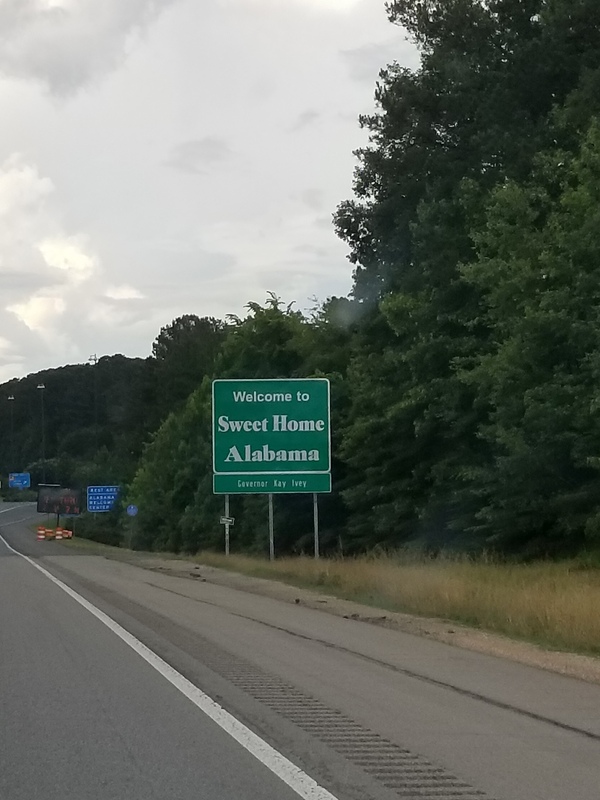 Actually, we were attending a wedding in South Carolina, so we thought it would be fun to just drive there and stop in Atlanta for a few days because neither of us had ever been. The home was located in an older, more historical part of town – it reminded me of Houston’s Third Ward community. The interior of the home was updated and modern and clean. Brand-new appliances and special touches that let us know we made the right decision in not getting the hotel. 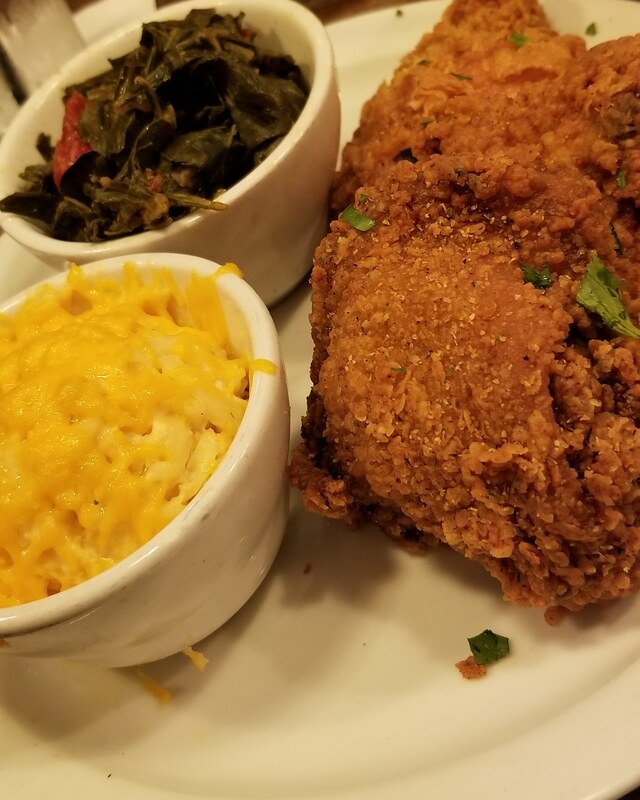 This restaurant has a few locations, but we visited the one in Midtown Atlanta. The inside is stylish with white walls, the bar in the center and a fireplace near the entrance. 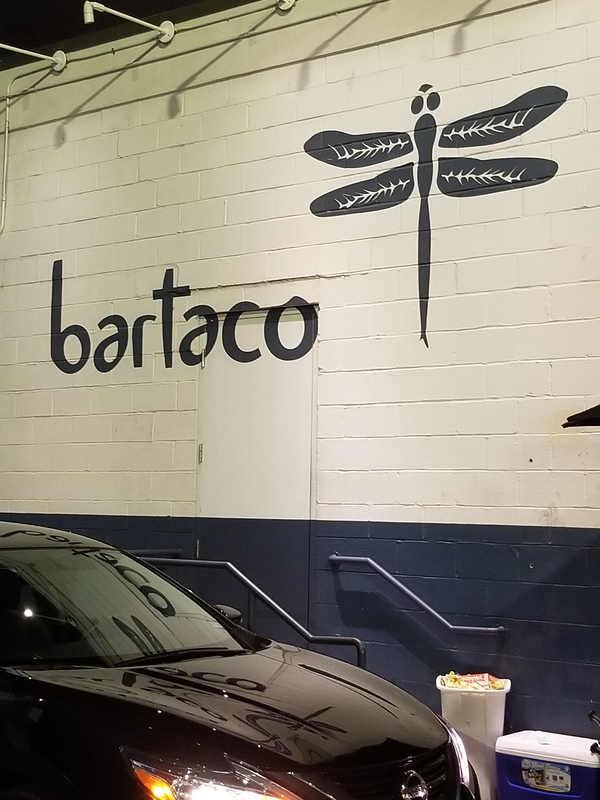 bartaco serves … you guessed it – tacos! 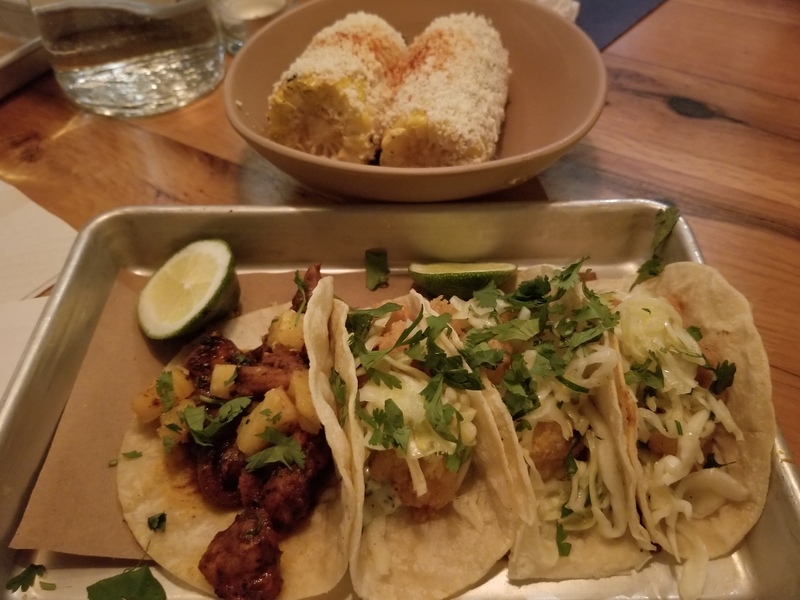 They have a nice variety, too, everything from pork carnitas to cauliflower tacos. They’re street tacos, so they’re small and fairly cheap. There’s a nice drink menu as well and if you’re asking, we suggest you go with their bartaco margarita. It’s a best-seller and tasted good to us! Note: this restaurant is cashless, so debit or credit cards only! 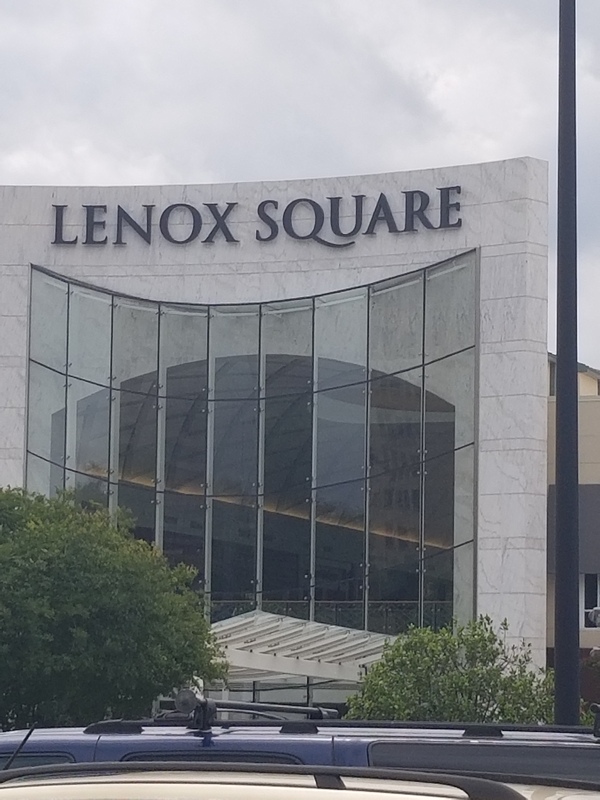 So if shopping is on your agenda, there’s nowhere else you should be besides Lenox Mall. 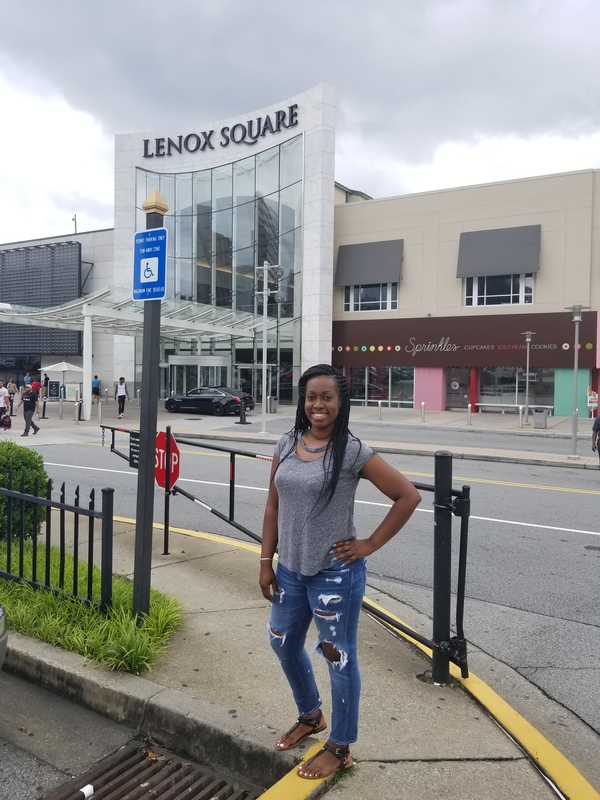 It’s located in affluent Buckhead and features some of your favorite name brand stores (think Neiman Marcus, Fendi, Michael Kors, etc.). Topshop definitely took a lot of our coins. There aren’t a whole heck of a lot of food options, but there is a Sprinkles Cupcakes inside which made me very happy. And apparently a Cousin’s Maine Lobster is on its way as well! The “I’m about to spend some money” face. Either Uber there (it’s a small hole-in-the-wall type spot you may miss) or park in nearby paid lots. Get there early!! Seriously, like when doors open so that you’re likely to get a table for free. After about an hour, it gets super crowded (standing room only) and paid tables are reserved. 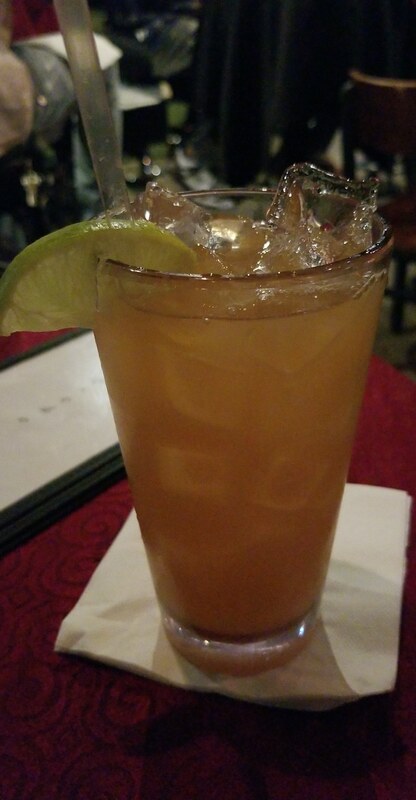 Order the Hennessey margarita (Apache Cafe best-seller). Thank us later. Jerk chicken wings were fall-off-the-bone tender! Coke is my carbonated beverage of choice, so why not learn the history of this delicious drink? 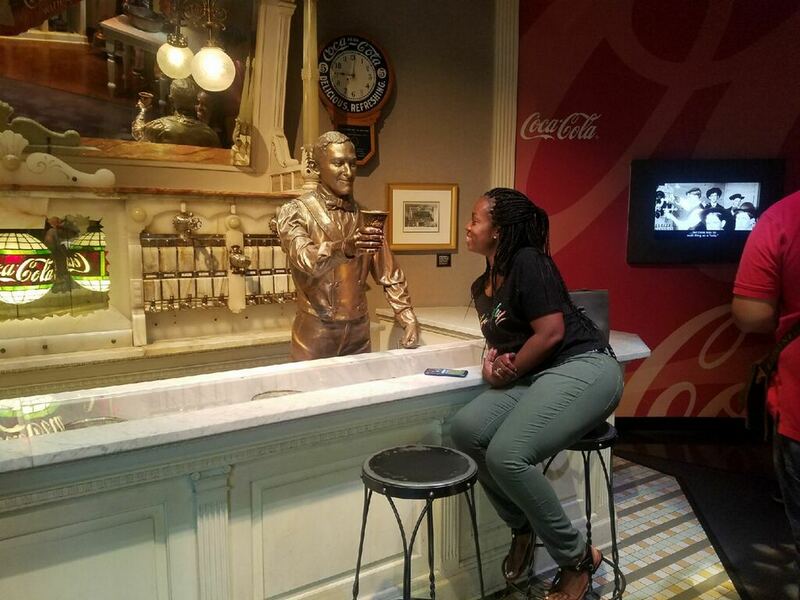 No better way to do that than by visiting the World of Coca-Cola. Tickets can be purchased in advance or at the entrance and there’s ample paid parking in nearby garages. Upon entrance, every visitor is gifted with a small coca-cola of their choice and you’re able to take it around with you as you visit each exhibit. And not that you would think to miss this, but obviously the most popular attraction of the entire museum – “Taste It.” Here you can taste more than 100 international and domestic beverages made by the Coca-Cola Company. Cups are provided. Come thirsty. 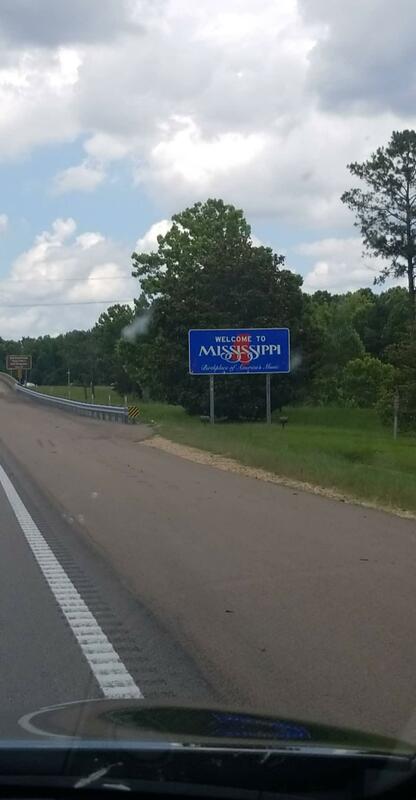 Oh yeah, and we must say, this place has a pretty nice gift shop – from personalized bottles of Coke to Coca-Cola branded pajamas, you’re sure to find some items to bring home. Complimentary coke of choice -Coca-Cola Life made with less sugar. This safe contains the secret formula to Coca-Cola. If you’re familiar with Kandi Burruss-Tucker of Xscape and the Real Housewives of Atlanta, you already know about the Old Lady Gang restaurant, named for her mother and two aunts. It’s a Southern eatery located on Peters Street in the thriving Castleberry Hill neighborhood of Atlanta. If you missed our review on the food, you can check it out here. I’m always a fan of history and culture, so naturally I wanted to visit the MLK, Jr. historic site when in Atlanta. 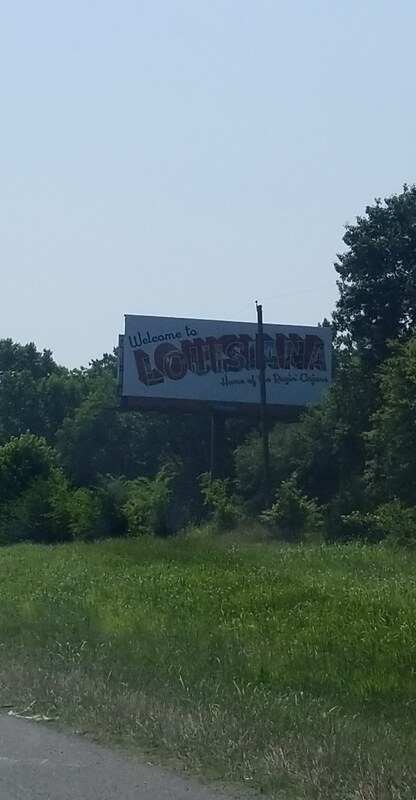 Y’all, this is a must-visit. Parking is free and there’s no entry fee to visit the park. Be sure to take a tour of Dr. King’s birth home. The tours have to be booked in the visitors center and are on a first-come, first-served basis. They are led by a park ranger and take about 40 minutes. It’s interesting because you learn a lot of little facts about Dr. King, his family and upbringing. Note: No pictures or video are allowed inside. We also visited the inside of the historical Ebenezer Baptist Church. Plan to spend at least a couple of hours visiting the entire site when you go. All in all, Atlanta was vibrant and enjoyable. Definitely plan on going back because there’s so much more to do! What about y’all? 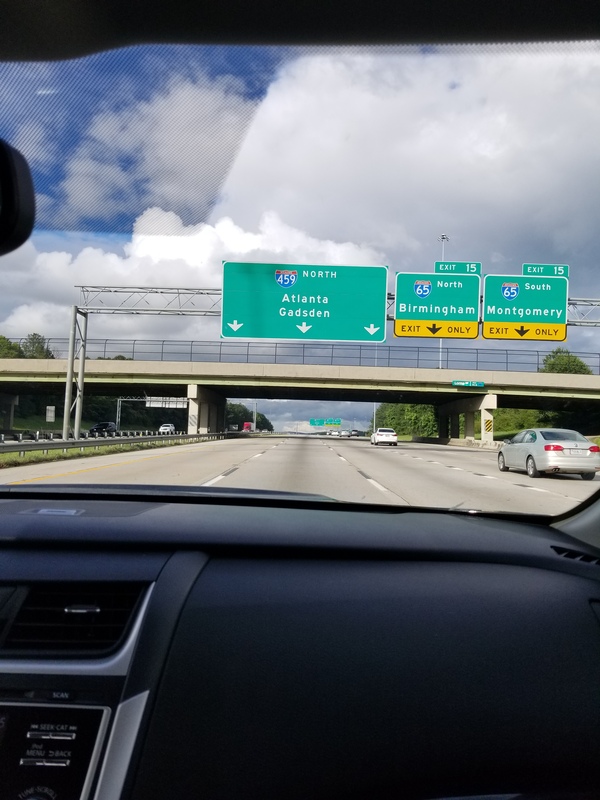 Have you been to Atlanta? What do you like to do there? Let us know in the comments. I’ve heard about the Hennessy margarita was good! Wish I woulda went here when I was in Atlanta. Delicious…and Apache has entertainment pretty much every night. I would definitely give it another visit!